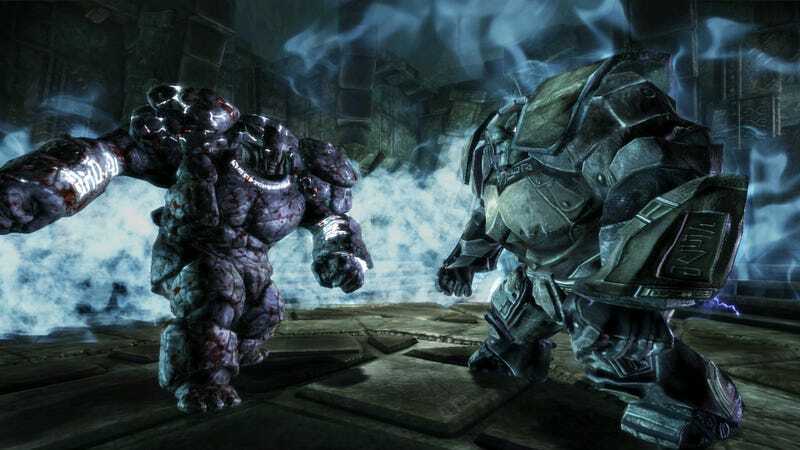 While fans wait for next year's Dragon Age II, BioWare continues to pump out the downloadable content for Dragon Age: Origins, uncovering the ancient secrets of the dwarves' magical constructs in Golems of Amgarrak. Due out August 10, Golems of Amgarrak sends the player character and his party deep into the underground in search of a dwarven expedition that went missing while searching for the secrets behind golem creation. It's a high-level adventure that promises great challenges, great rewards, and a new terrifying creature to stab, beat, and spell to death. At this rate, BioWare should have players adventuring right up to the release of Dragon Age II.